At www.generalinsurance.es/homeowners-insurance.html we offer you the best Homeowners insurance through Correduría de Seguros Proyectos y Seguros comparing the best Homeowners insurance offers among the leading insurance companies in Spain. 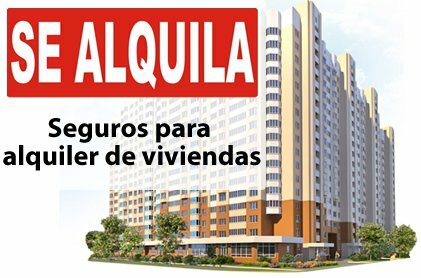 This way your Homeowners can be contracted at the best price on the Spanish market. Now calculate the price of your Homeowners insurance quickly and easily, contract the best Homeowners insurance thanks to General Insurance Group in Spain. If you want a Homeowners insurance specialist to call you by phone, you can click on the request call button, insert your name, phone number, email and Homeowners insurance, in a few minutes a Homeowners insurance consultant will contact you by phone to offer you a personalized budget adapted to your needs. At www.generalinsurance.es/homeowners-insurance.html we offer you the best Homeowners insurance, we compare Homeowners insurance prices of leading insurance companies in Spain to offer our customers the cheapest and most complete Homeowners insurance. The section www.generalinsurance.es/homeowners-insurance.html specializes in finding and comparing the best Homeowners insurance for our customers. Through www.generalinsurance.es we offer the possibility of contracting the best Homeowners insurance in Spain for English speakers, with a customer service in English. If you want more information about the Homeowners insurance you can contact the commercial department by calling 91 756 71 08 from Monday to Friday from 9:00 a.m. to 10:00 p.m. and Saturdays from 9:00 a.m. to 3:00 p.m. in Homeowners insurance will solve your doubts free of charge. Homeowner s Assurance Insurance is an insurance whose mission is to protect homeowners from renting delinquent tenants. - The company analyzes the solvency and background of the tenant, making a positive or negative assessment. If the valuation of the tenant is negative the owner must assume the same the risk of renting or not renting to a tenant who can presumably give him problems. - Protection of the owner according to the coverage of the rent guarantee insurance, when the insured tenant (with positive valuation) defaults the rental fees. - Unlimited Legal Legal Assistance: Specialized lawyers to resolve any legal doubt, without limit of consultations. - Non-payment of rent: With this guarantee we assume the cost of the defaults by the tenant whenever there is an eviction trial. - Defense and claim of the lease. - Claiming damages to the dwelling. - Claim of repair contracts for housing. - Claim to other insurance companies. - Criminal Defense: Judicial expenses, lawyers, prosecutor, etc. - Damage to the dwelling: Guarantee of damages that the non-paying tenant makes to the continent and contents of the dwelling, with limit of amounts stipulated in the policy ..
- All expenses included: Attorney s fees and attorney s fees, notary expenses and powers of attorney for lawsuits, as well as the minutes, requirements and other acts necessary to defend the interests of the insured. Fees and expenses of the expert. Legal costs, when imposed on the insured by a final judgment. The non-payment protection insurance for rentals only has a modality of contracting with some optional coverages or with discounts if it is also contracted together with the home insurance. The optional coverages are usually the vandalism or damage that the non-paying tenant makes on the dwelling (continent and content). The cost of the guarantee insurance in any case is around 4 to 5% of the annual cost of the rent.